Frankie's Library – Books books books! Not one, but two bisexual protagonists? A contemporary fiction book which explores the gender norms that infiltrate our society? I know you are thinking this book can’t possibly exist, but here it is. Louis & Louise is all of these things and more. Julie Cohen has created a wonderful novel that is important and uplifting. The novel follows two eponymous characters who are in fact, the same person. Cohen starts by telling the story of how Louise is born, and then the same birth story but this time the parents give birth to a son, Louis. From then on each chapter tells a continuing story about Louis and Louise returning to their hometown to care for their sick mother. Cohen also writes some chapters where the narrative is unaffected by the gender of the character, using ‘they/them’ pronouns Cohen shows how universal some experiences are, no matter what your gender identity. However, the purpose of this book is to show the audience how men and women experience the world differently, and how society’s expectations can create such different outcomes. The story of both of these characters is one of turmoil, they both carry secrets with them and both escape their small-town upbringing. However, the reason for this turmoil is dramatically different. Louis’ story tells a childhood of boyhood fun and frivolity, he is allowed to run amok with his friends Benny and Allie, with their dad teaching the boys how to fire a gun and the assumption that Louis would take over his father’s company when he was of age. He falls in love and dates Allie, but seems to hide/feel shame about his feelings towards Benny. Although Louis writes a book and becomes a professional author, he is haunted by the events that lead to the death of Benny. Benny’s death in this version of events is harrowing, and Cohen uses it to highlight how dangerous it can be when men feel they have to hide their emotions and feelings. On the other hand, Louise is able to be open and honest about her feelings for Benny, however he reciprocates through male violence and she suffers the consequences. Louise is never able to write or publish her book, and she is left raising her child alone as her mother warns her that she cannot tell people what Benny had done to her. There are many difficult and tough aspects to her life. Although there are serious and difficult issues raised in this book, Cohen does her best to highlight the importance of friendships and honesty and to keep the book positive. 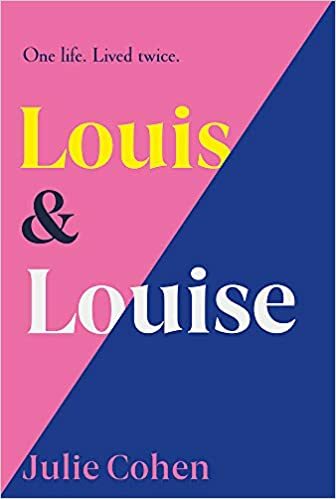 Cohen also has both of these characters explore their bisexuality; with Louise being able to be open and honest about her identity, whereas Louis’ seems to be shrouded in shame and secrecy. This is an incredibly interesting parallel to make and demonstrates problematic attitudes towards bisexuality in our society. Although I have mainly talked about the interesting social commentary that Cohen explores, this book is amazing for so many reasons. The characters are loveable, the family dynamic is easy to relate to and the story is compelling and fascinating. This book is one you should definitely add to your TBR! **always out of 10 because 5 is too restricting! This. Book. Is. Amazing. Truly and honestly, one of the most heart-warming and funny books I have read in a long time, Beth O’Leary has created a masterpiece. Firstly, I want to address how relatable this book is. O’Leary sets the story in modern day London and focuses on the extortionate rent prices and the extremes people have to go to for a decent place to live. The protagonist Tiffy ends up taking a room which she has to share with Leon, who works nights. She does this to make sure she doesn’t go running back to her ex, another part of this book which is all too relatable. The story that unfolds between the two of them is hilarious and genuine, they end up developing a relationship through notes left in their flat. Tiffy is ‘larger than life’ and has a bold personality and passion for crafts that makes her an instantly likeable character. Leon is calmer, less talkative and open – but with a passionate and caring nature for those he loves that made me emotional. It was so wonderful to read such a complex and caring male character. One of my favourite quotes from this book I’ll copy below, and it is one of my favourites because of how accurately it relates to my life. This book had me laughing out loud on my commute to and from work, meaning I got some very dodgey looks from fellow commuters. It is lighthearted and genuinely uplifting, so if you are looking for a feel-good read then look no further. Although this book is generally uplifting it does tackle some very serious issues. These include wrongful incarceration, the serious impacts of prisons on mental health, and dangerous abusive relationships and stalkers. O’Leary wonderfully tackles these issues, highlighting the importance of supportive friends and how if you have the right people surrounding you – you can overcome the hard times. She also highlights how relationships can become abusive through manipulation and gas lighting, and how significant this abuse can be, especially when someone doesn’t realise that it is happening. O’Leary makes sure that she doesn’t rush the story line, taking her time to show that abuse such as that is not easy to overcome. Through Leon’s dedication and patience she shows that men do understand boundaries, and she shows how relationships and love are supposed to be handled delicately and with care. 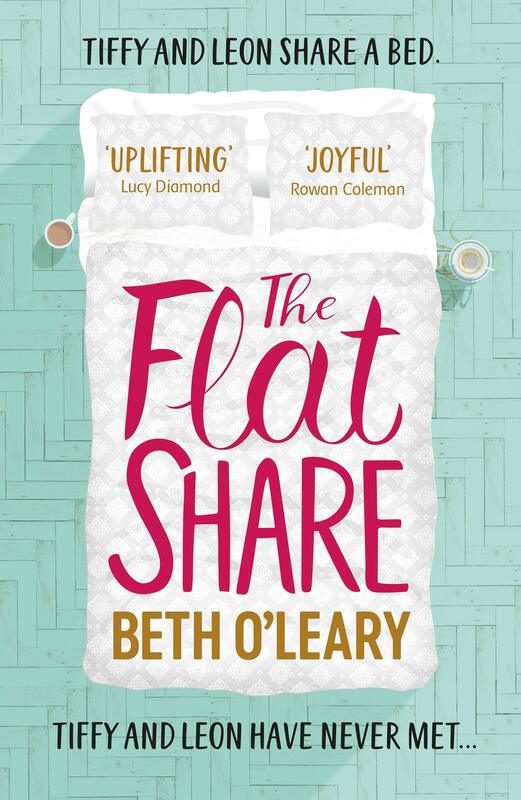 This book is truly incredible, I cannot believe it is Beth O’Leary’s first novel. I can’t wait to read all of her future novels because this one has brought me so much joy. Post-apocalyptic, horror, dystopian, and Ireland are not three words that would normally draw me to a book, but I had seen so much hype on Twitter surrounding this novel that I knew I just had to read it. It really did live up to all expectations. Davis-Goff’s story follows Opren, the fantastic fierce heroine who fights off the ‘skrake’. The ‘skrake’ are a terrifying zombie-like species in distorted human bodies, who ‘bite’ safe and healthy humans to infect them. Although it is not clear how these creatures came about, Davis-Goff makes it clear that scientific advancements and greed are to blame. Opren is raised by her mam and her partner (Maeve) on a small isolated island where she visits the relics of old houses searching for information on what life was like before the Skrake. Opren is a brilliant protagonist, she has a thirst for knowledge and an all-consuming love for the people that raised her. So much so that she puts herself in danger and through physical pain to attempt to find a cure when Maeve gets sick. 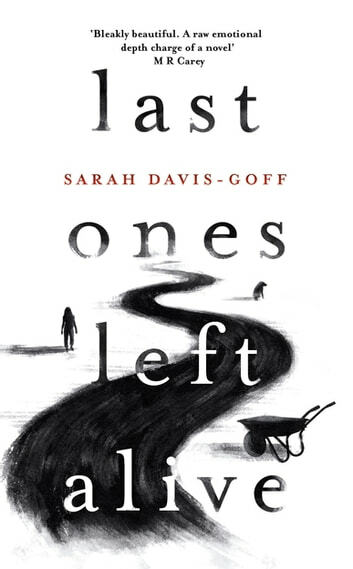 One of the best parts of this book for me is how Davis-Goff alternates between telling the current tale of Opren’s journey and describing events that happened in Opren’s childhood, and made her the woman she is today. This shifting chronology keeps you on the edge of your seat and makes the book impossible to put down. Just as Opren’s life is in danger, the chapter ends and you’re transported back to her childhood which means you just HAVE to keep reading to see what happens next. This meant I finished the book within 24 hours of starting it, and I am thoroughly disappointed that I finished it so fast because there are currently no more Davis-Goff books out there for me to read. This book is utterly terrifying, (and I am not normally a person who is easily scared by books) but also heartwarming and enthusiastically feminist. Not only is Opren a great female protagonist but there are ‘banshee’ women who are trained to fight off the Skrake – showing the amazing physical power of women. Women are vital to this story, Opren is raised by two women and we see the importance that different women have. Opren’s ‘ma’ is gentle and loving, whereas Maeve is fierce and tough – all of these qualities we see in Opren. The warmth of love between the characters is evident, even despite the harshness of the society and landscape, people still come together and protect each other no mater what. I recommend this book to everyone, whether it sounds like a genre you would usually read or not – because trust me, this is a book for everyone. 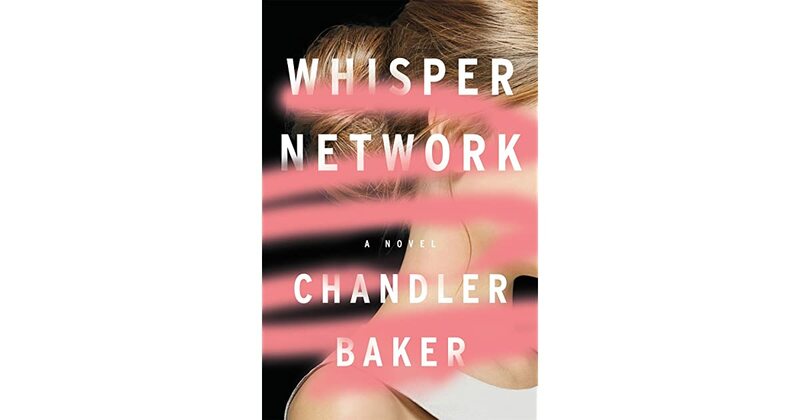 ‘Whisper Network’ is an intensely realistic story about the consequences of sexual harassment in the workplace. The novel has been written at the perfect time, and slots right into the very real #MeToo narratives. The story follows multiple women working in the same office, friends who have to stand together against the same man, who has taken advantage of them over a span of 10 years. These women are dynamic and real characters, they are the women you know, the women you work with and the women you admire. I initially struggled to connect with any of the characters because there are just so many, and the narrative can get confusing if you struggle to remember names like me! This meant to start with I didn’t quite appreciate the depth of characters that Baker has created. As I continued to read the characters became clearer to me, each of them created by Chandler to show how much women struggle. Sloan – the seemingly well put-together boss who everyone looks up to actually engages in affair with a married man and feels helpless when her daughter is struggling. Adie is the incredibly intelligent one, she is definitely my favourite, the woman who has given up trying to impress – which makes her all the more impressive. There’s Rosa the Hispanic cleaner who will do anything and everything to protect and care for her son. And then there’s Grace, poor beautiful Grace who seemingly has everything a woman could wish for. But she still suffers from post-natal depression, something which Baker aims to highlight is completely normal. These women act as mouthpieces for the #MeToo movement, they stand up against their boss and against the powerful company they work for. They take risks, knowing that they could lose their reputation and careers, all to fight against the patriarchy. Chandler Baker creates a powerful story of female resistance which is truly wonderful to read. Although I did end up loving these characters and following their story with great enthusiasm, the book is a slow-burner. It starts off weak, with all the characters merging into one and the dialogue becoming repetitive. But give the book time, the characters definitely grow on you and you become hooked by the end – and then you don’t want it to stop! Finally, I want to give mention to how Baker will write long paragraphs describing how hard ‘we’ women have to work and everything that ‘we women’ suffer through. By using the term ‘we’ and having these explanations seemingly separate from the main narrative, Baker is uniting her female readers and explaining to all readers just how difficult life can be for women – and how important it is to stand together. Unite. Interment is a book like no other YA I’ve read before. Not only is the novel deeply political but it did not treat the intended audience as children, Ahmed’s writing assumes that the readers already have a good understanding about the current political climate and how dangerous it is. 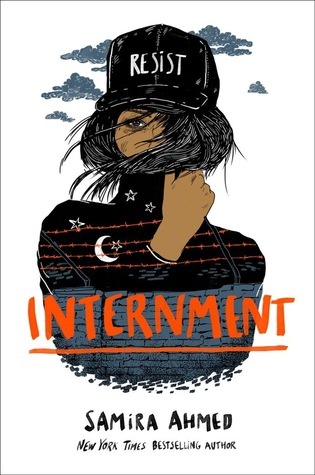 By creating a YA novel that is incredible mature, Ahmed has made Internment a novel that will be loved by people of all ages. The protagonist Layla is a well-developed character who I loved instantly due to her rebellious nature. Ahmed’s writing is incredibly realistic and one of the ways she does this is through Layla’s rebellions. Layla’s frustration at the system she finds herself in are easy to relate to, and the small acts of rebellion such as sneaking letters out, seeing her boyfriend and leaving her home after curfew are realistic teenage actions. Layla’s determination and spirit make her a wonderful protagonist. Layla is not the only brilliant character in this novel however, there are so many dynamic characters who make the novel amazing. Ahmed’s quotation of actual events and the “Muslim ban” make the plot of this novel incredibly intense and powerful. The message of “Resist” is clear throughout, and is clearly speaking to the readers of the book, to make sure that as readers we understand how we must resist the current government. Critics are not lying when they say this book is ‘dark, sharp and compelling’ – it is truly incredible from start to finish. I’ve really started to enjoy crime novels a lot more in recent months, and in my previous review of Blood Orange I said I always manage to predict the ending. And now, two times in a row I have failed to predict the ending, as The Puppet Show kept me on the edge of my seat until the very end. The book follows no-nonsense sergeant Washington Poe as he tries to find the serial killer who is burning their victims in stone circles in Cumbria. The plot is incredibly dark, with a serial killer who tortures some of his victims and mutilates their bodies before setting them alight, this book is not for the faint-hearted. But the novel is not entirely dark and twisted, Craven doesn’t forget to add lighthearted humor and a wonderful friendship between Poe and Bradshaw, a highly intellectual but socially challenged data analyst. Their friendship forms through Poe’s protection of Bradshaw, and her brazen honesty, no matter what the situation. This friendship drives the novel, with the two of them working together to solve the crime and, despite setbacks, neither of them giving up on each other or the case. The twists, turns and surprises in this novel are thrilling. Craven has created a novel which is clever and detailed, with all questions answered by the end. My only negative is that the book ended too suddenly, leaving me wanting much more! Which might have been the plan after all, make us all eagerly anticipate the second installment in the Washington Poe series. This book is most definitely worth reading, and with the thrilling plot you will have devoured it within days, if not in one sitting. So gather your cosiest blankets, fill your biggest mugs with a hot drink and settle down for a wonderful morning/afternoon/evening reading this wonderful book. 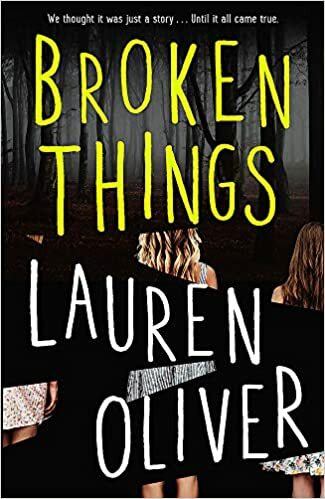 Review: Broken Things – Lauren Oliver. Broken Things is one of the most gripping YA/thrillers I’ve read. Although this book has been compared to Pretty Little Liars, and I see why, this book is so much more nuanced and thrilling than PLL, and a lot more disturbing. You probably should not read this book if you’re squeamish or easily spooked, because the brutal murder of a thirteen year old girl is not the only tragic aspect. I was fascinated by this book from the outset because Oliver interweaves a fictional book about ‘Lovelorn’ into her own narrative, with passages quoted from the book throughout. This fascination was furthered through the incredible narrators; Brynn and Mia. Both of these characters have distinctive narrative voices, and it was easy to become attached to their troubled lives. I loved that Oliver created Brynn as a lesbian character whose story of confusion and desire for her straight friend was easy to relate too. As was Mia’s hurt at her friend’s betrayal, stealing the boy she liked. These seemingly mundane teenage problems expertly interweave with serious topics such as grooming, drug and alcohol abuse, and mental health problems. Oliver tackles these difficult-to-discuss topics with skill and whilst maintaining a feeling of suspense. The book flashes between the past and present, allowing the reader to understand the history of the main characters and how they came to be in the situation they are in. This narrative technique means Oliver slowly reveals what happened five years ago, and makes for an incredible suspense read. I did think the ending was slightly too fast, but I think that is partly because I just did not want the story to end. 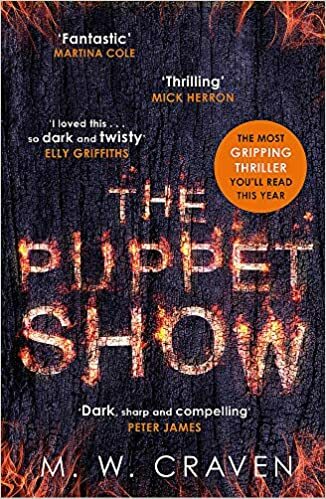 To summarise; this is an incredibly tense thriller, with a plot so clever you never see the end coming (it is a HUGE surprise) and I would recommend it to everyone, whether you are already a fan of Oliver’s work or not.